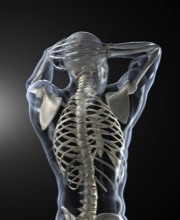 Enhance your chiropractic care with additional Rixen Chiropractic physiotherapy treatments. Therapeutic exercises and stretching compliment your subluxation correction procedures and speed up your body's healing process. In Rixen Chiropractic's effort to prevent future conditions and promote health, treatment and rehabilitation, our chiropractic professionals suggest specific strengthening exercises and stretches for patients with back, neck and other body extremity problems. When prescribed along with manipulation or other chiropractic care, these exercises can reduce pain, protect against new or recurring injuries, prevent muscle deterioration and promote strength, stability and range of motion. Your Rixen Chiropractic professional will ensure you are performing your exercises and stretches correctly so that you can do them in the comfort of your own home. By keeping up with your rehabilitation and corrective exercises and stretches you can accelerate your healing process and prevent scar tissue from forming. Even after you heal, maintaining a regular exercise and stretch program encourages mobility, flexibility and protects you from new injuries.